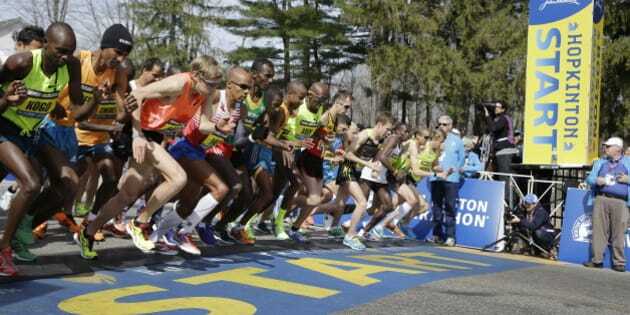 The Edmonton man who clocked in as the fastest Canadian in this year’s Boston Marathon says he is inspired by the way the city responded to 2013’s fatal bombing. “This was definitely the loudest Boston yet,” said Tom McGrath, who marked his third time running the marathon on Monday. His time of 2:22:24 put him 10 seconds ahead of Ontario runner Lanni Marchant, who was Canada’s fastest female runner. The marathon’s website shows that eight other Canadians took part in the race. California’s Meb Keflezighi took first overall, becoming the first American to win the race in more than 30 years. “It’s been always been one of those things on the list to do, is to be the top Canadian in one of these major marathons," he said. McGrath ran in last year’s marathon, when two bombs built out of pressure cookers exploded near the finish line, killing three people and injuring more than 260. He said he originally planned not to run the race this year, but found himself inspired by the way that the people of the city responded to last year&apos;s tragedy. “After all the events last year and the support we got from Bostonians everywhere the day after the race and the events of last year, I know I was going to come back. I had to. He said last year’s attack dominated his thoughts leading up to the race, up until the point that the starting pistol fired. McGrath plans to celebrate the win by grabbing “a greasy burger somewhere” and sightseeing in the city.